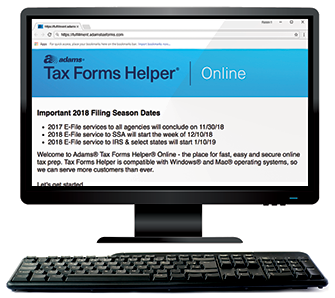 Adams Tax Forms Helper Online is a web-based tax filing service that helps you prepare standard business tax forms. All you need is your favorite search engine and internet access from your Mac or PC. For businesses, big and small. We help businesses of all sizes simplify tax time, from CPA firms to individuals. 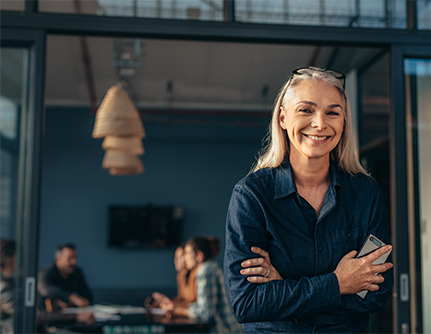 Whether you’re running a household with a nanny or a business with 1,000 employees, you can prepare standard business tax forms like a pro. This speedy little interface helps you build forms. Prepare one, dozens or hundreds at a time. 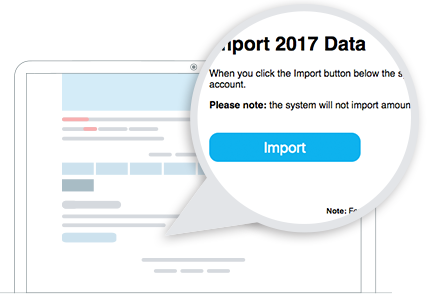 Import last-year’s data from Tax Forms Helper Online in 2 clicks. Or, import from a CSV or Excel file, no matter what program you used in 2017. Roll up function helps you build your 1096 and W-3 summary reports quickly and accurately. 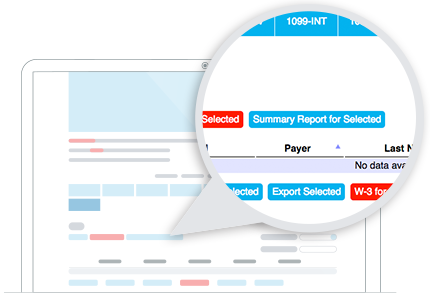 An enhanced summary report lets you view one, multiple or all payers for 2018. We promise you won’t miss installing tax software on your hard drive each year, wasting precious time and storage space. Since we’re web-based, we’re always up to speed. There are no software patches, updates or versions to manage. When you’re ready to log in, we’re ready to work. With cloud-based storage, your tax information is saved with TLS and US government-standard 256-bit AES encryption. 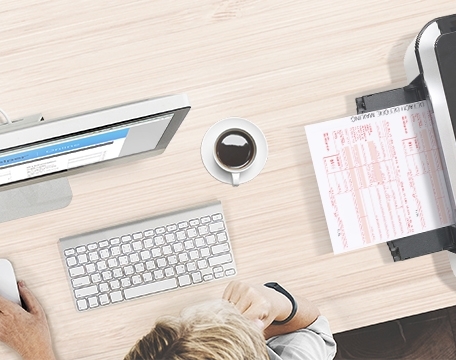 Create professional-looking tax forms with Adams Tax Forms Helper Online and most any modern laser or inkjet printer. Our Adams Tax Forms Kits give you the online service with forms and envelopes in one convenient bundle. See all the forms you can print. You can e-file your W-2 and W-3 forms to the SSA, e-file your 1099-MISC, 1099-INT and 1096 forms to the IRS, and e-file to select states. Consider the many ways to file. Got your tax forms ready? You have options for filing!